At Sandhills Brewing we focus primarily on oak-fermented and specialty beers. Many of these beers take 9 to 18 months, with the wait being as exciting as the final product. Barrels are special and there’s something magic about the process of yeast, bacteria, and time working together to create something really spectacular. 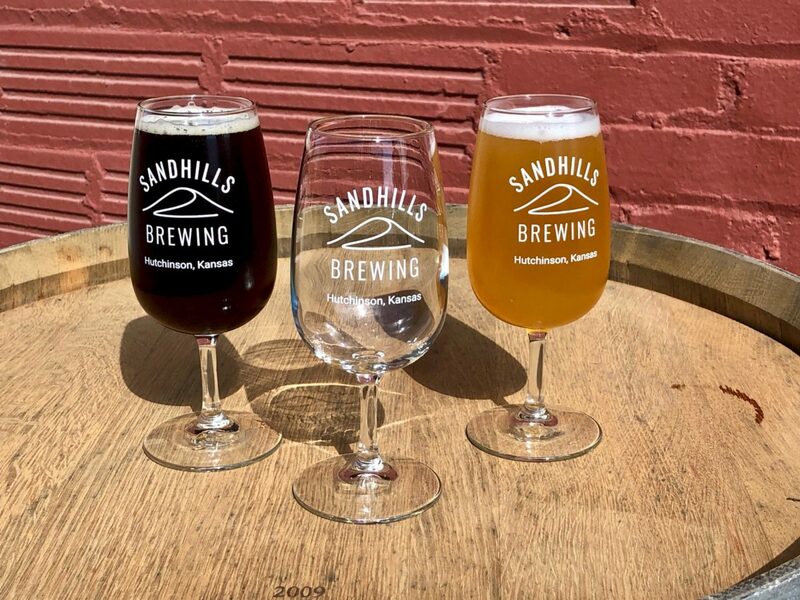 Along with oak-fermented and oak-aged specialty beers, we also produce a range of equally delicious though faster-to-mature beers, including Berliner Weiss, IPAs, Scotch Ales, Stouts, and whatever else suits our fancy. 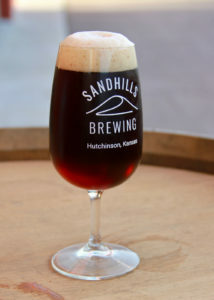 As a tiny microbrewery, we have the flexibility to really experiment and try all kinds of beers. These beers are produced through-out the year, have relatively quick production times, and can typically be found in-stock at our brewery. Chickadee is a sour beer brewed for Spring and Summer days but enjoyable all year-round. It’s light, tart, and low in alcohol. Using 2-row barley, white wheat, and munich malts, Chickadee has a pillowy softness from a generous helping of flaked oats. 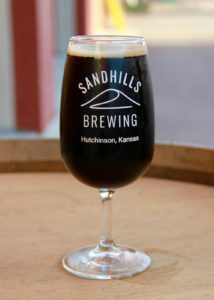 It’s soured with Lactobacillus and fermented with a clean American ale yeast. Post-Fermentation it’s lightly dry-hopped with Cascade, Motueka, or other hop styles that exhibit tropical fruit flavors and aromas. Brewed with 2-row barley, white wheat, and a bucket of oats, Junco is a New England IPA that showcases strong, beautiful hop character from multiple generous dry-hop additions. It features Magnum, Citra, Mosaic, and El Dorado hops. Do not let it fool you, though, it may have a lot of hops in it, but this beer is smooth, soft, and not at all bitter. Inspired by the traditional English Mild, a British pub favorite, Sparrow is a toasty session ale that’s perfectly drinkable at 3.5% ABV. Caramel and nutty aromas, coupled with toffee and toast, make this beer truly quaff-able at any time. Motivated by our love of low-ABV malty beers, Barred Owl features 2-Row, Vienna, Munich, Crystal, and several dark specialty malts. A barrel-load of oats and American Cascade hops give Barred Owl a twist on the traditional style that will surprise you with its drinkability. Our brewery is filled with oak barrels that sit peacefully aging and maturing. Beers that come out of these barrels are released in small quantity batches every few months. Mother Nature works at her own pace so some barrels may take only a few months while others could take more than two years. The beer will tell us when it is ready, so long as we’re listening and not trying to rush it. Kestrel is a tart wheat beer brewed with small amounts of sea salt and coriander. It’s a perfect base for fruit additions and barrel aging. We frequently add tropical fruit, such as mangos, to Kestrel or age it briefly in tequila barrels. A big beer featuring rich notes of chocolate and coffee, Raven is a beer meant for sipping on cooler Autumn or Winter days. This beer stands firmly on its own but also stands up to extensive barrel aging. The pinnacle of what we produce, Red Tail is a Flanders-Style Red ale based on one of the traditional beers produced in Belgium. Featuring strong acidity, deep red hues, and strong caramel, toffee, and vanilla notes from oak barrels, Red Tail is a beer to sip and ponder throughout an evening. 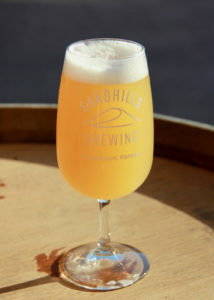 Featuring a traditionally simple grain bill, Sandpiper is a delightfully light and fluffy saison whose ester profile is elevated with bright acidity. 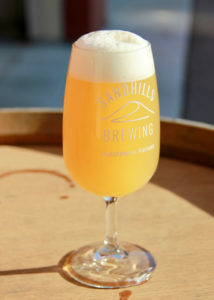 Through spending six or more months in red and white wine barrels, Sandpiper is more than just a saison; it’s a deeply complex and interesting beer that continually pique your taste buds.